In January of this year, songstress and a new generation's queen of chill electronic soul Alina Baraz linked up with another contemporary, Khalid, .. Heavy Mellow remixes Marian Hill's "Lips"
Brooklyn-based artist Heavy Mellow (formerly Heavy x Mellow) has been on our radar for a few months now, ever since we heard his remix of Norwegian .. Whenever I see the name Marian Hill grace my inbox or pop up on my Soundcloud feed I get a bit excited, because I never know what to expect ..
Oh, Zella Day… Is it Wednesday? I'm not sure, but I have to confess to my woman-crush on Zella Day. Just don't tell my boyfriend. She played ..
From the second that Marian Hill’s Samantha Gongal's haunted vocals come in, lightly sung, intense and enhanced with subtlety tortured .. There's a new electronic indie group out of Philly that is making a soulful, jazzy noise with their debut EP. Marian Hill, which consists .. 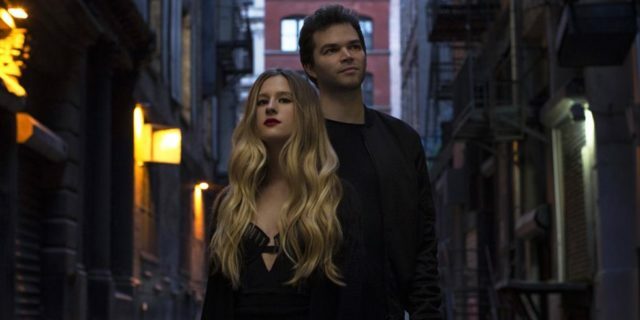 The Philly duo Marian Hill released their second single "Lovit" a couple months back, and proved their formula for connecting glitchy electro .. The duo Marian Hill are two up-and-comers from the Philly area that have found a cross-section of excellence. Somewhere in between electro ..